For your Hakone tour,one of our certified veteren guides will guide you. You will find interesting places on the Popular Sites in Hakone. Please let us know you would like to see or do through the Contact Page. The tour guide fee is shown at the bottom of this page. Hakone is located about 2 hours from Tokyo by train or bus. Hot springs ,the marvelous scenery and the historical places attract people from inside Japan and all over the world. Although there are numberless springs in Japan,springs in Hakone are the most popular ones throughout Japan. You can soak in the hot spring bath for about 1,500 Yen of a hotel or a Ryokan even if you don’t lodge in the hotel or the Ryokan(Japanese inn). 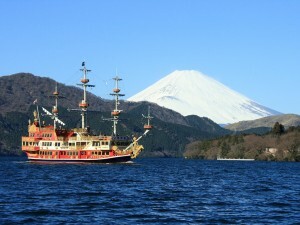 Hakone is surrounded by mountains and there is a beautiful lake called Lake Ashi at the center of the mountainous area. 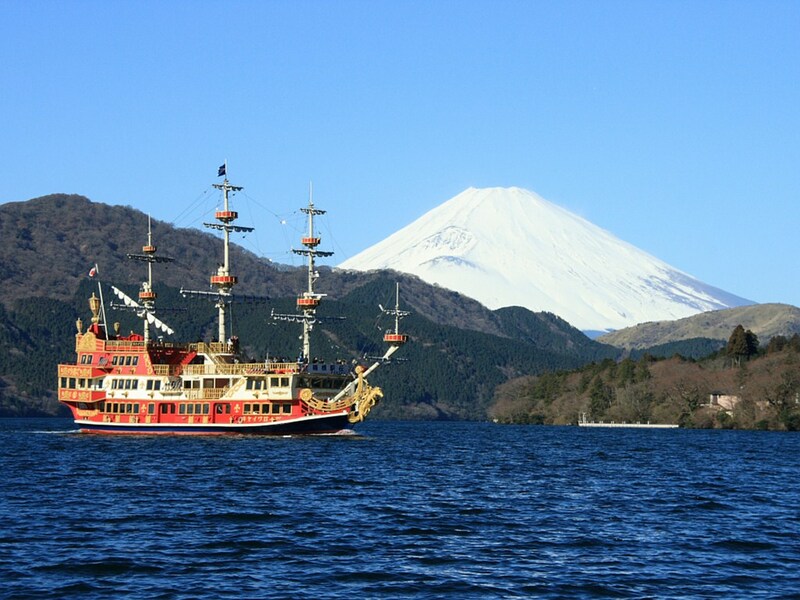 You can enjoy the scenary from a ropeway and a pleasure boat called ‘Pirate Ship’ . Lake Ashi and surrounding mountains are in perfect harmony.If the sky is clear,you could see Mt.Fuji over the mountains. During the Edo Period(1603 to 1867),Hakone used to be the final check point before people visit Edo which is the former name of Tokyo. You could visit the point and see how people including feudal lords were checked by shogunate officials. Hakone tour will be around 10am to around 4pm although you are supposed to depart from Tokyo much earlier as it takes about 2 hours from Tokyo to Hakone. Excluding your transportation,admission fees and lunch. in the guide fee above.